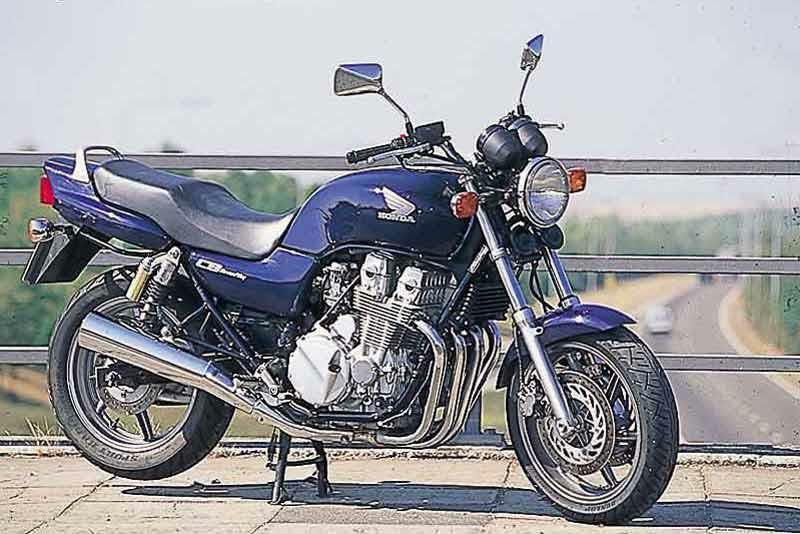 The Honda CB750 F2 is not the most exciting motorcycle to leave the Honda factory but a competent, comfortable cruising motorcycle nonetheless. 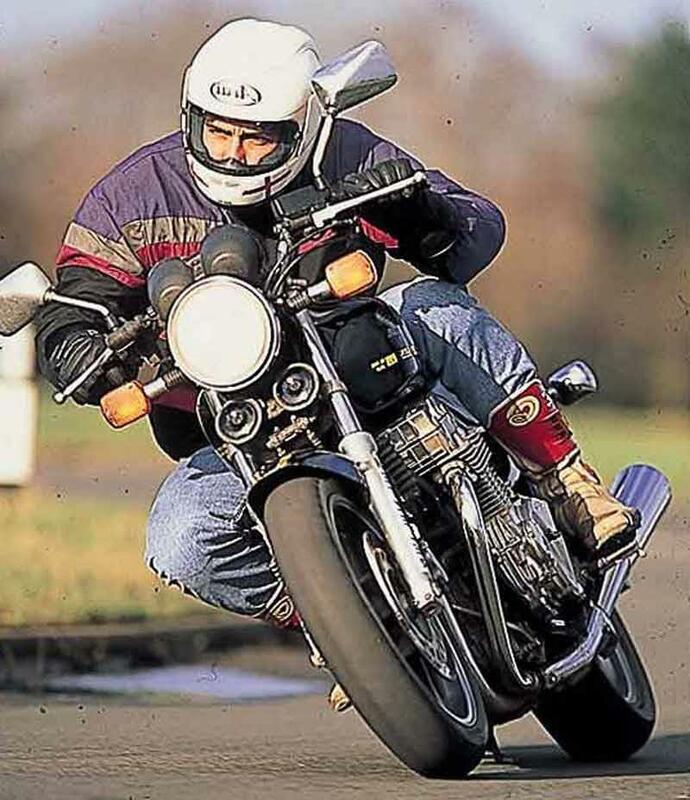 Adequate suspension, good riding position, top brakes and a strong engine are plus points but the Honda CB750 F2 is let down by average handling and a lack of real zest. Sadly, rather boring. The Honda CB750 F2 has a tallish, upright seating position, wide bars and good turning circle sound good for town work but the motorcycle is heavy and this can let it down. Motorways and highways are where the Honda CB750 F2 is most at home whilst fast, twisty lanes show up its lack of focused handling. Suspension’s ok, but not up to much of a thrashing, and the gears are a bit clunky. 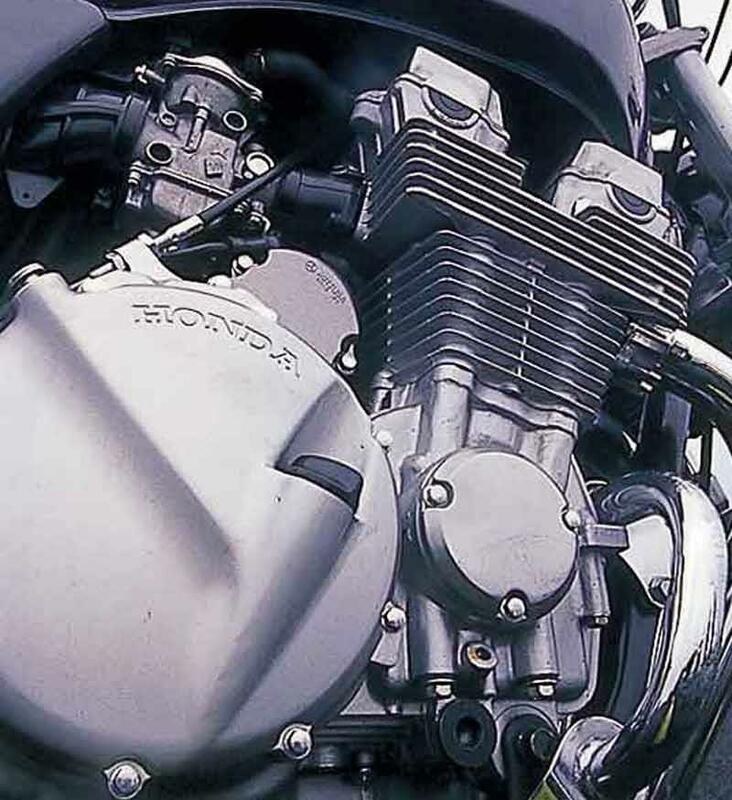 The Honda CB750 F2's engine is taken from the Honda CBX750 and detuned, it’s a smooth, powerful engine with a lot of torque and enough top end to keep most people happy. 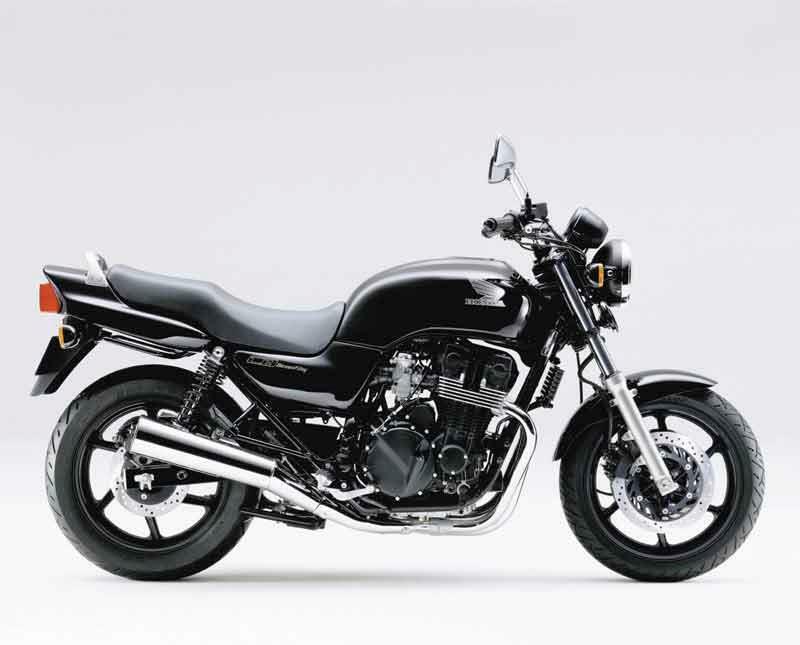 With the motorcycle best treated as a cruiser, its strong but laid back acceleration means it’s hardly hair-raising stuff but that’s kind of the point of the Honda CB750 F2. Delivery’s super-smooth. Well built and well finished, the Honda CB750 F2 is a trustworthy buy. Plenty of the original 1970s Honda CB750 are still going. The suspension isn't bad but on older motorcycles it’ll definitely need some sprucing up but engine-wise, you’re looking at a long distance runner and the Honda CB750 F2 is also pretty simple to maintain. 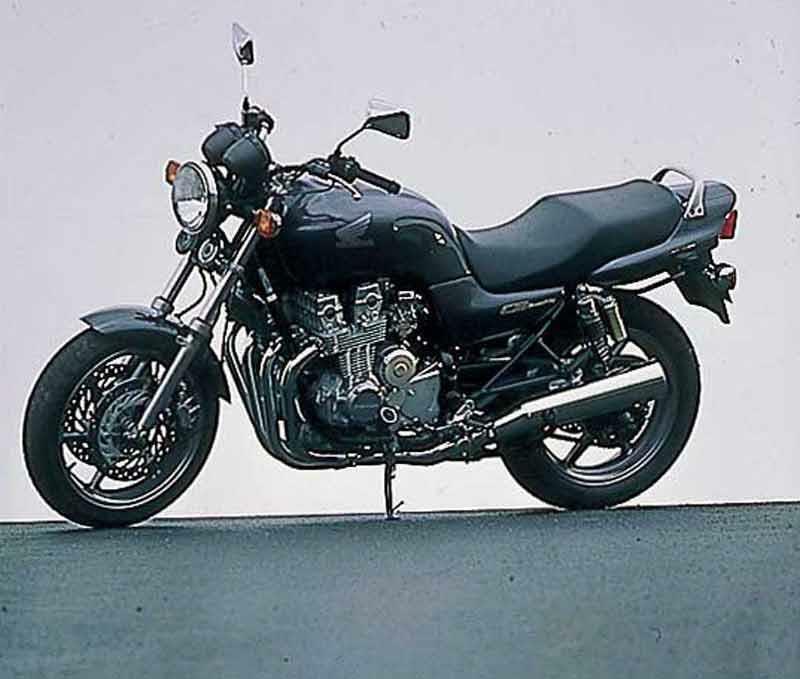 The Honda CB750 F2's arch rival was/is the Kawasaki ZR750 Zephyr but the Honda was cheaper, sleeker, smoother, slightly more powerful and a considerably more comfortable motorcycle. 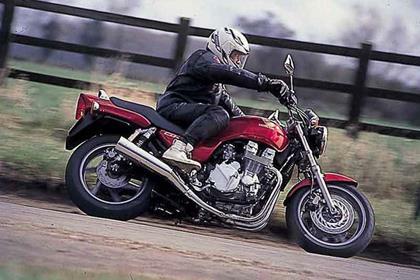 The Honda CB750 F2 lacks passion, though, and verdicts of “dull” and “a bit boring” litter its reviews. For lazy, easy cruising, however, you could do a lot worse. Find a Honda CB750 for sale. 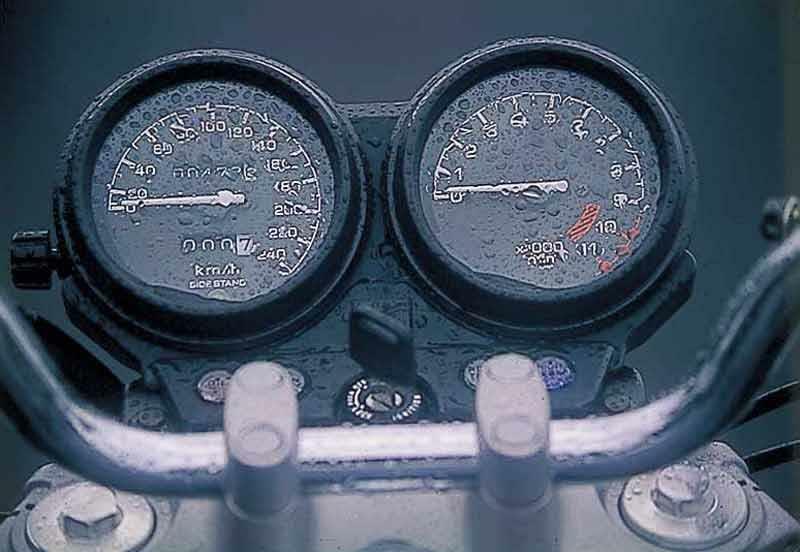 The Honda CB750 F2 is equipped with clear but basic clocks, apt for the retro look, but they’re plasticky and look a bit cheap. No fuel gauge either. Loads of room for both riders and pillions: comfort’s a strong point. The mirrors work well and the CBR600-derived brakes are excellent. 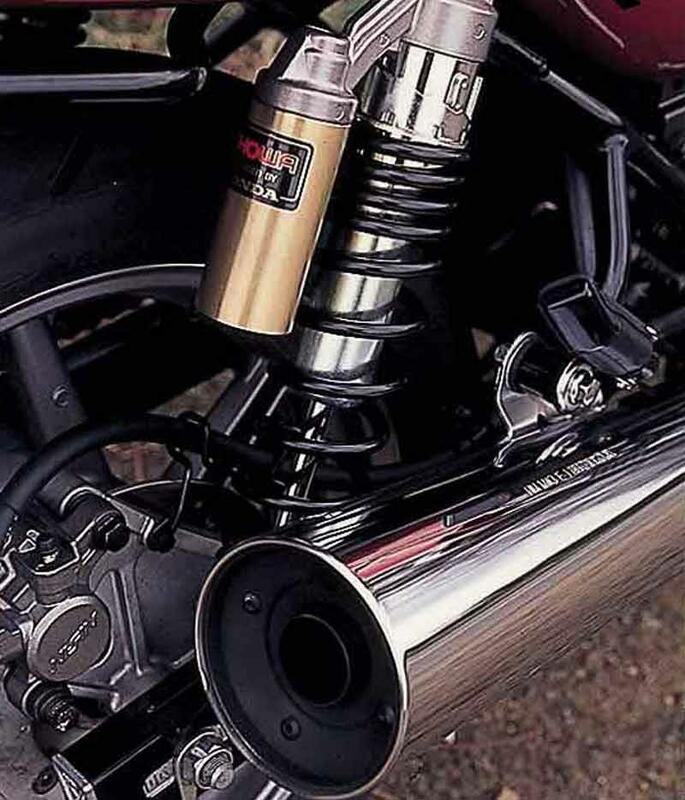 The Honda CB750 F2 has some handy touches including a grabrail and a centrestand. 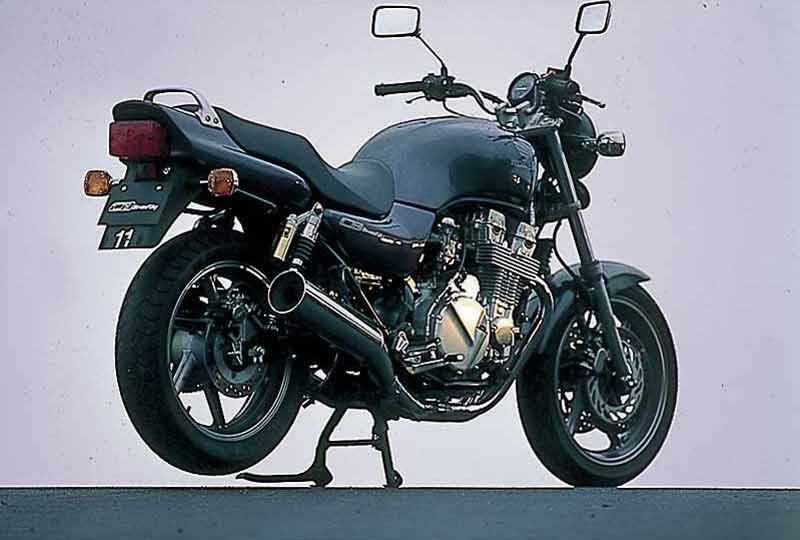 1992: Honda launches the CB750 F2: a 90s version of its old classic (and hugely popular) CB750s of the 1970s, which are often referred to as the first superbikes. 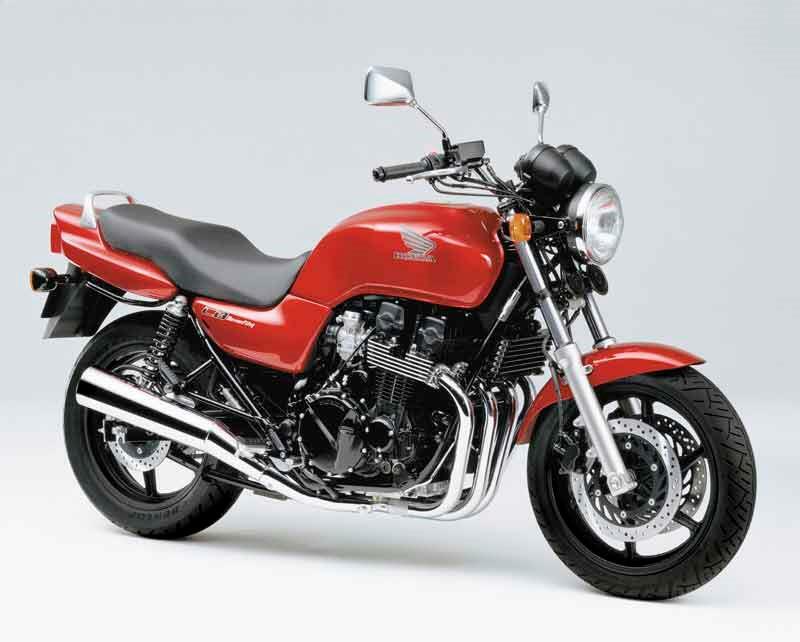 Minor changes only until the Honda CB750 F2 was discontinued in 2001. 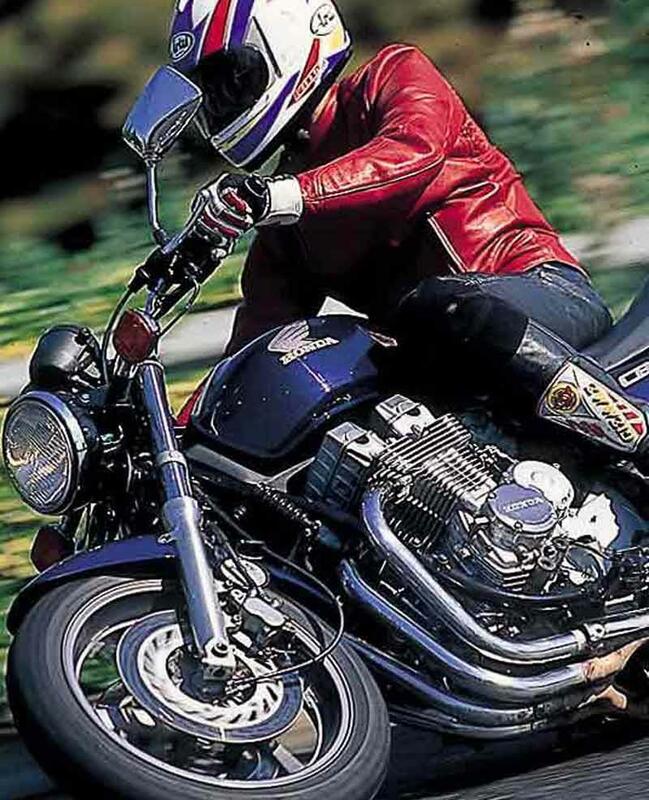 5 owners have reviewed their HONDA CB750 (1992-2001) and rated it in a number of areas. Read what they have to say and what they like and dislike about the bike below. Vance Hines, 120 mains, Pod filters, moto bars. 150 out back 120 up front She Screams. fork dip. a little too much travel but progressives will take care of that. $800 for a cb750 that will run forever? pretty pretty pretty good. When I first bought my 20 year old CB750 with over 62,000 miles on the clock I wondered if I'd made a horrible mistake. It was horrifically dented, scratched and bone dry of oil but after some TLC it runs like a dreams and makes my commute one of the best parts of my day. Suspension is extremely comfortable even on shoddy cracked roads and the brakes are stellar for such a heavy machine. Some people complain that the suspension isn't "sporty" enough but frankly it's not a sports bike so who gives a damn. It's great at what it does and that's what matters. Lovely buttery torque from low revs and it can get a decent amount of power out at higher speeds but I find that at low speeds the engine gets bloody hot even for a bike without proper liquid cooling. Even with a 35kW (47hp) restrictor in for my A2 license the engine is just about as powerful as I could possibly need it to be. Standard Honda bulletproofness. Mine's clearly received some tough love over the years yet it still starts up every day with no problem and takes me to work with a big smile on my face. No serious rust visible and I think it's easily got several years of frequent use left in it. I picked mine up on ebay for £720 and after a decent service it runs like a dream. Absolute bargain! I know people who have payed double that for a Bandit 600 of a similar age. Extremely basic equipment as fits with the bike's style. I would have appreciated a fuel gauge. I do not have the F2, but it's U.S.A. counterpart, the 750 Nighthawk. First of all this bike has a cult following in the States and features as one of the best ten motorcycles ever built. I've owned mine for ten years and it has never let me down. It has done 23,000 miles and I have ridden it all over America but mostly from C.A. to Florida & back. I now ride it in England. I agree that the handling could be better and there could be more extras for the bike but otherwise it is perfect! Mine is a '95 and there are modifications that can be made to it. There sites on the computer that will tell what they are. 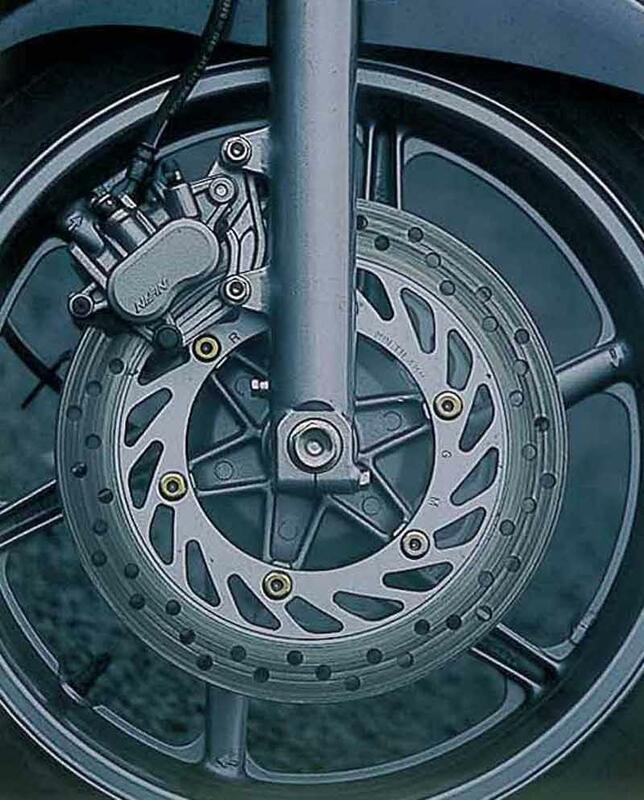 In spite of the U.S. model only having one front disc and a drum rear does not detract from there appeal. I do not see many nice examples of the F2 over here, I wish there were more about. I have managed to find a rear grab rail,a fairing, and crash bars for mine, and am trying to find a set of panniers. To sum up! buy one if you want reliability and easy maintenance. I've owned my CB750 F2 for around 2 months now and I can safely say it's one of the best bikes I've had. Comfy and reliable and that's after it's racked up 49000miles on the clock. It's a great bike for plodding along and when you get bored twist that grip. The only thing that limit's you really is the ground clearance and now and again the soft suspension, easy fixed with a spacer on the front forks and an oil change. Well that's my rewiew and the bike has a slipping clutch at the moment since I got it! This poor guy has obviously forgotten his bungee cords and couldn’t afford to miss his plane.